House of Jamie have just launched a new Home & Decor Collection and it’s a special one! A collection typified by clean lines and geometrical shapes. Executed in the brand new Geometry Jacquard; a unique woven fabric with a luxurious double sided pattern. Choose your favorites in Powder Pink or Stone. Modern, timeless and stylish, what’s not to love?! For the new and unique ‘Geometry Jacquard’ fabric, two specialweaving techniques are combined. The result: a double sided capitone fabric with a modern jacquard woven design. The weaving technique creates a subtle quilted effect for a luxurious and refined look. An instant modern twist for the Home & Decor Collection. The entire product range will be available in the new fabric. And several new designs will be added, like the Nappy Pouch & Travel Changing Mat for ‘on the go’ and two stylish, but handy baby bibs. 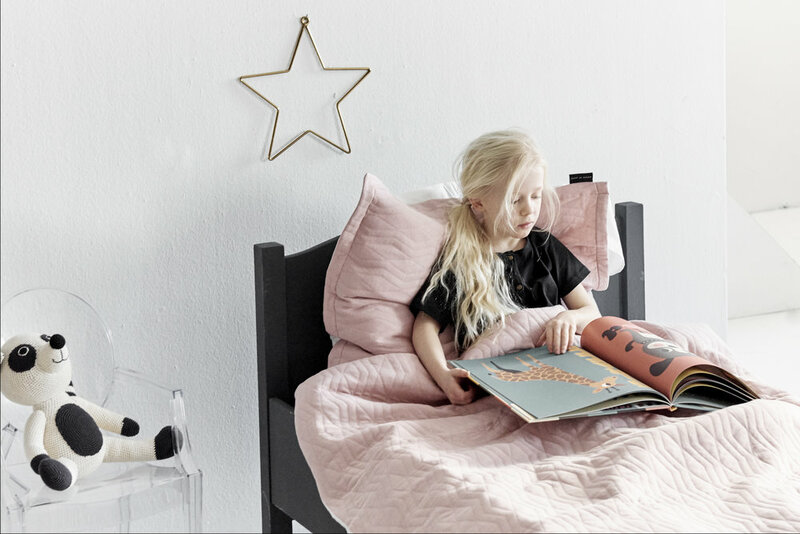 The label also introduces new Bedtime products such as Duvet Covers, Cot and Crib Blankets and a ‘light’ version of the Bed-Box Bumper. Shop this GORGEOUS new collection here.